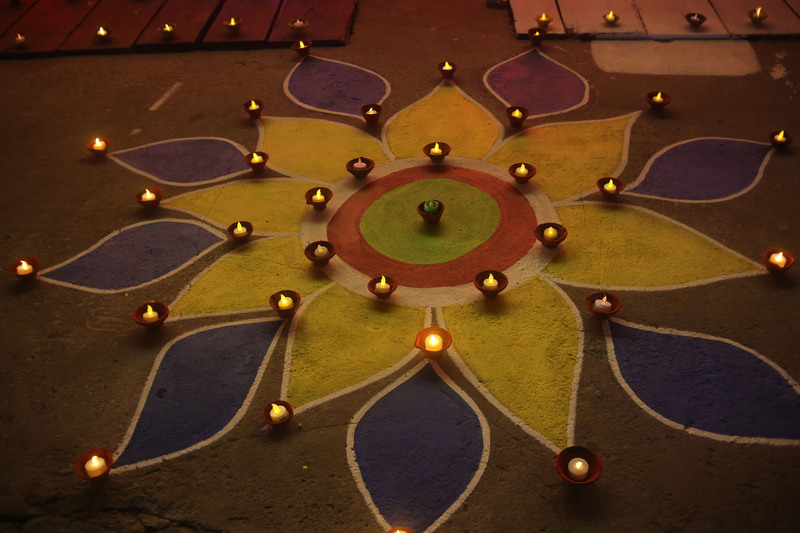 A family in Campbellville decorated the driveway of their home with diyas, which were lined alongside the rangoli designs on the driveway. 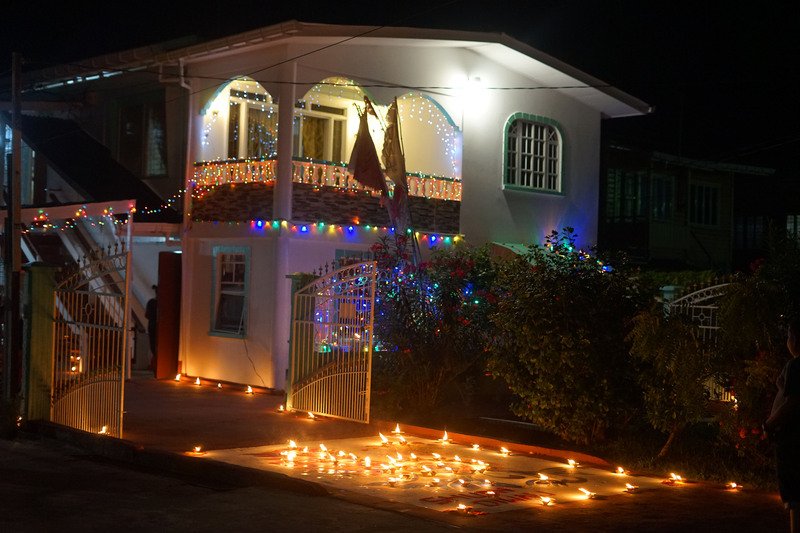 A well-lit house at Belle West, Canal Number Two, West Bank Demerara. 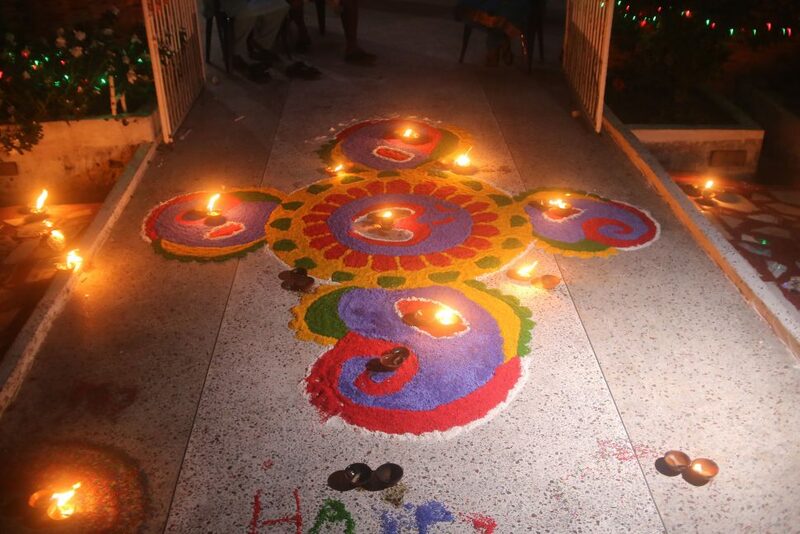 Rangoli designs with diyas on the bridge of a family home in Fourth Street Alexander, Village. 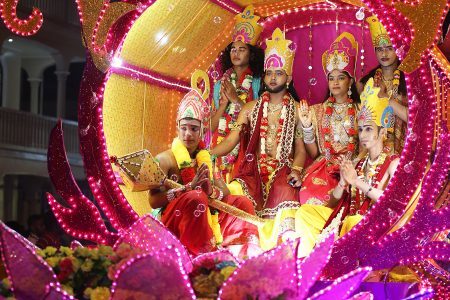 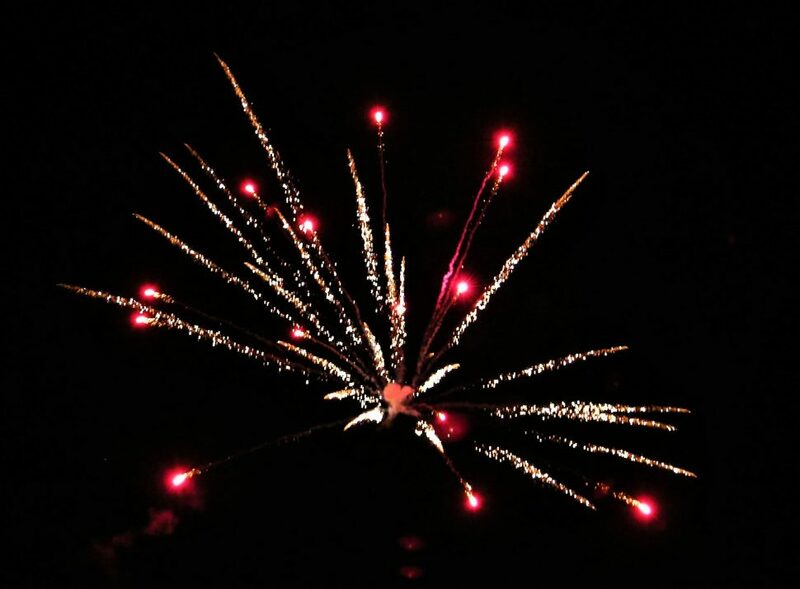 The Alexander Village mandir was extravagantly lit and the design drew a large crowd within the village last evening. 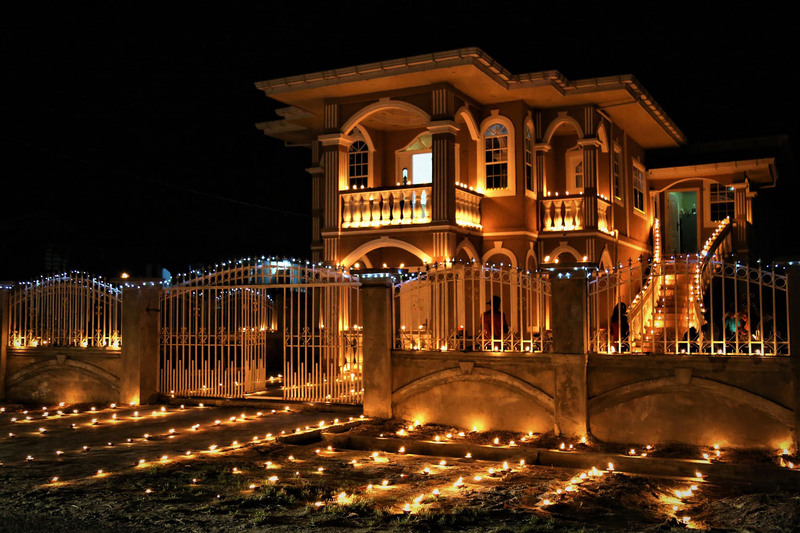 This home in Campbellville was well lit with Christmas lights and diyas placed all on the bridge and driveway. 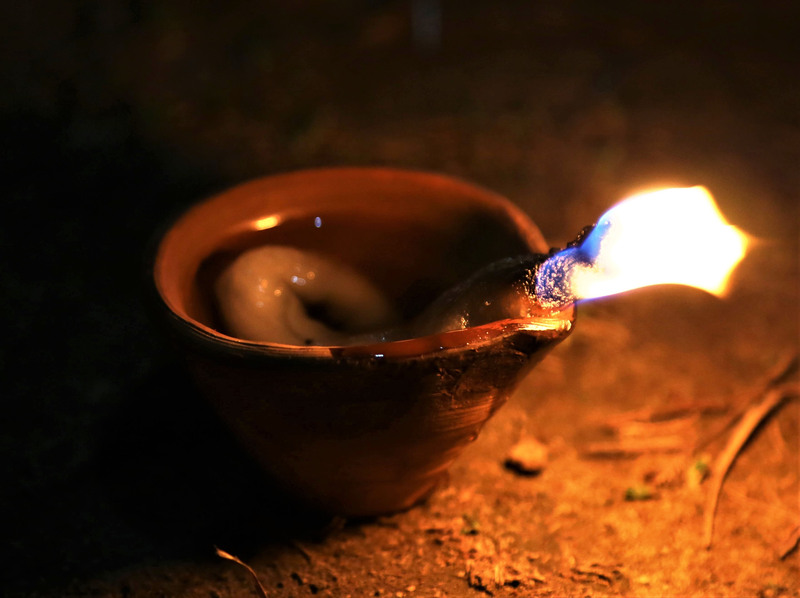 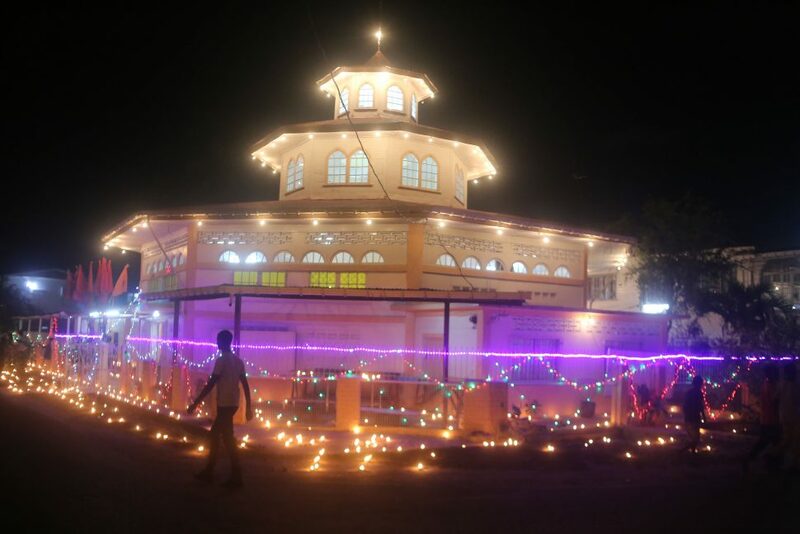 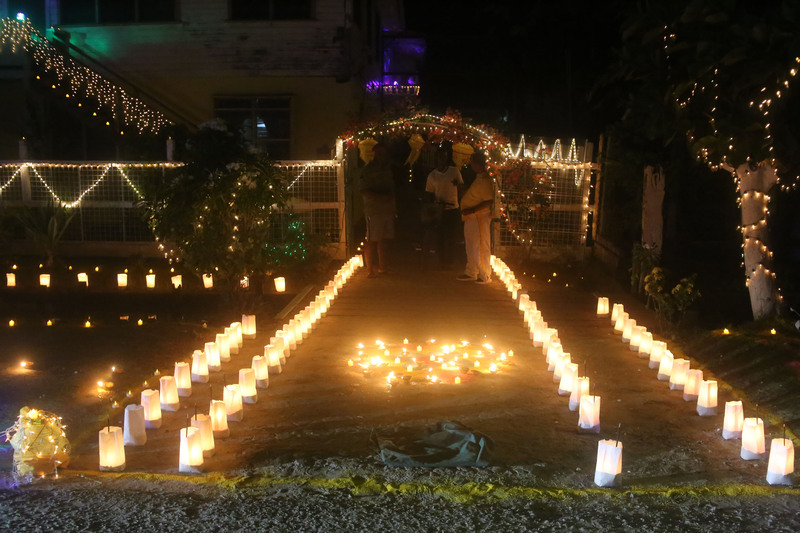 The home of Queen’s College science teacher Navendra Hardyal was beautifully decked out with diyas and lights placed in paper bags lining the bridge. 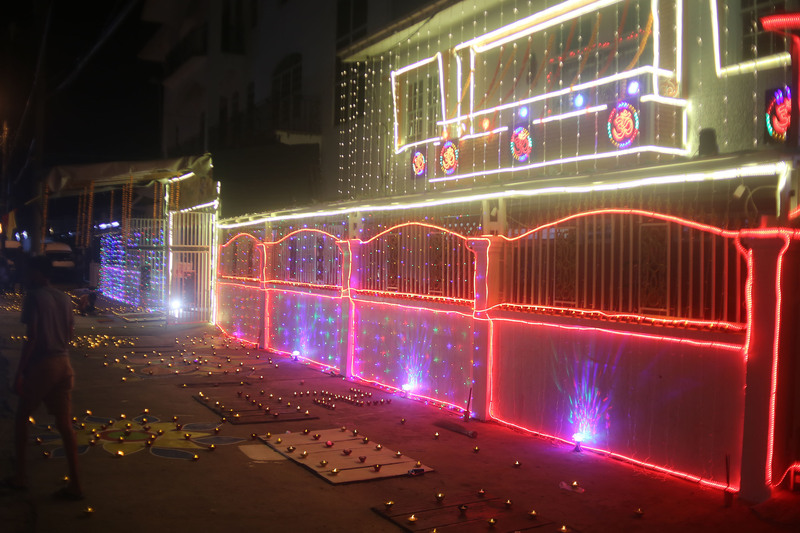 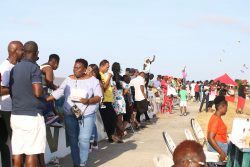 The innovative design was used to keep the lights going even with the heavy winds. 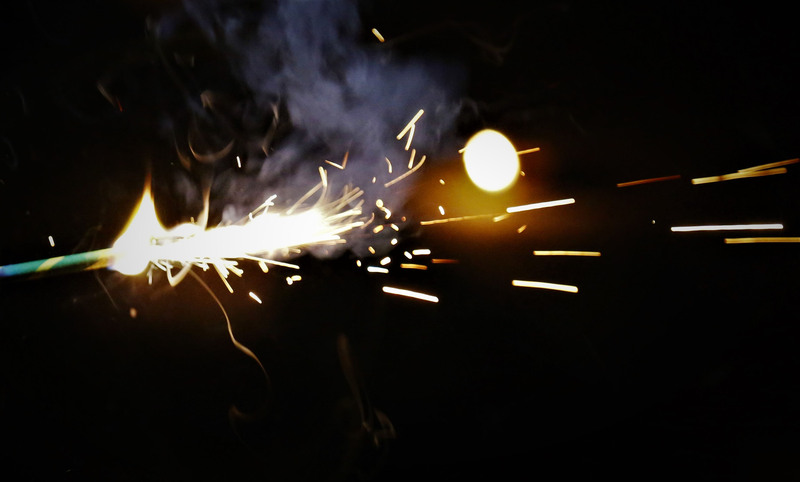 Hardyal decorates his home every year for the Diwali celebrations. The D. Singh Trading store on Delph Street and Campbell Avenue, Campbellville used strategically placed diyas to highlight the Rangoli flower designs decorating its entrance. 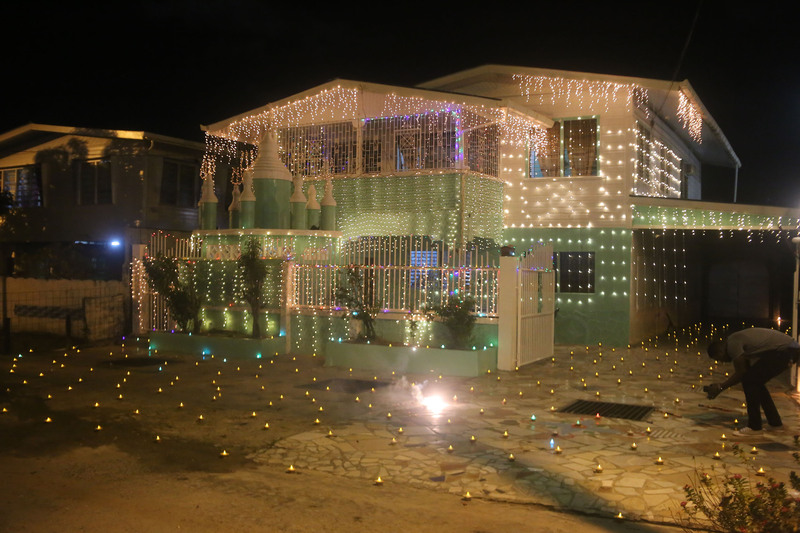 A house along Campbell Avenue decorated with Christmas lights and lights along with painted designs in Campbellville.